The four-piece collection features a t-shirt, apron, bandana and limited edition cookie mix. New York City’s famed Milk Bar Bakery and Madewell, a women’s fashion and denim store, have mixed (and stitched) together an adorably sweet clothing and cookie collaboration. 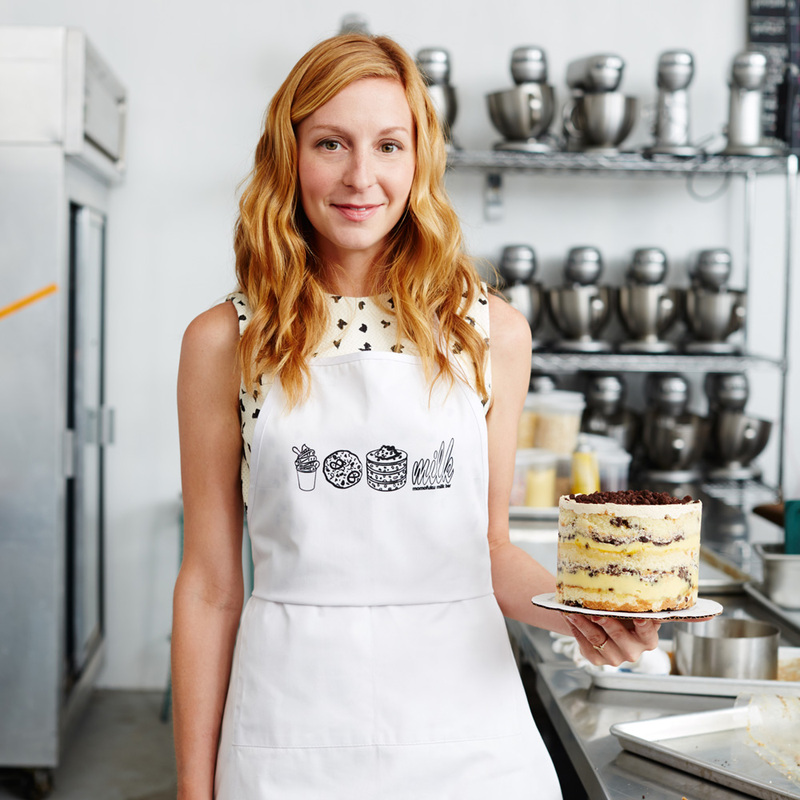 Born from a mutual love between Milk Bar’s founder and CEO Christina Tosi and Madewell head designer Joyce Lee’s respective work (Lee even lives near Milk Bar’s Williamsburg location and is a devoted fan), the exclusive line lets wearers (and eaters!) take the concepts of comfort in food and clothing to a whole new level. The four-piece collection was whipped up using warm cookies, baking, and denim as design ingredients, resulting in a t-shirt, bandana, apron and a limited edition denim-inspired cookie mix. 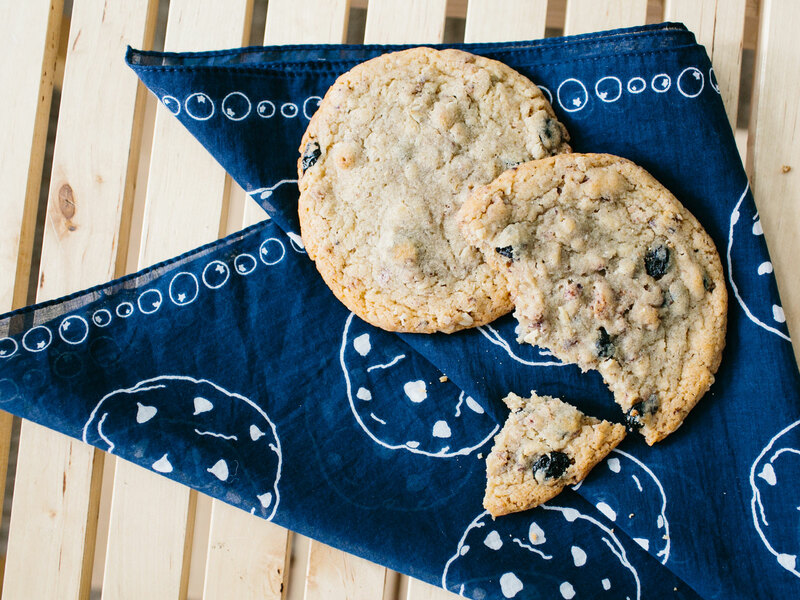 Out of the t-shirt’s pocket pops a partially bitten cookie (don’t worry about the crumbs—it’s only a design) while the bandana is covered in a fun and playful cookie pattern, perfect for pushing your hair back while you bake the Blue(berry) Jeans Cookie Mix. Fans of denim will especially appreciate the apron, which opts for the jean-material over cotton or nylon and features a handy pocket. Lee describes their new line as"the perfect gift set of fun and functional pieces that are Milk Bar approved for the kitchen, but with a Madewell twist." The line officially launches today, just in time for the holidays. All four pieces of this exclusive food and fashion collection are available at Madewell and Milk Bar, both in stores and online, with prices ranging from $18.50 to $45. The apron is already sold out, so you’ll want to act fast before someone steals all the cookie (and cookie-inspired clothing) out of the jars and off the racks.